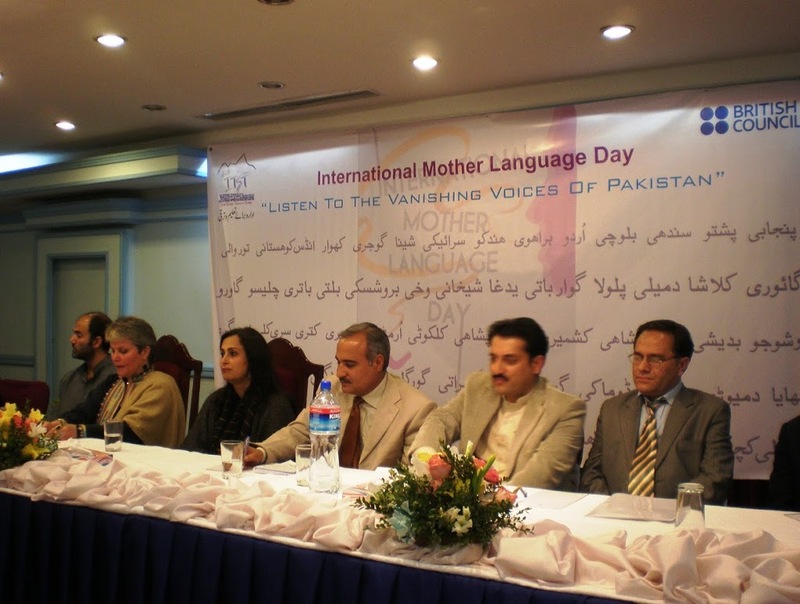 ISLAMABAD: “We must glorify, preserve and develop our regional languages as it plays a vital role in the development of a country.” This message was highlighted at a seminar to address the issues of preservation and development of regional languages on Mother Language Day (Feb. 21). 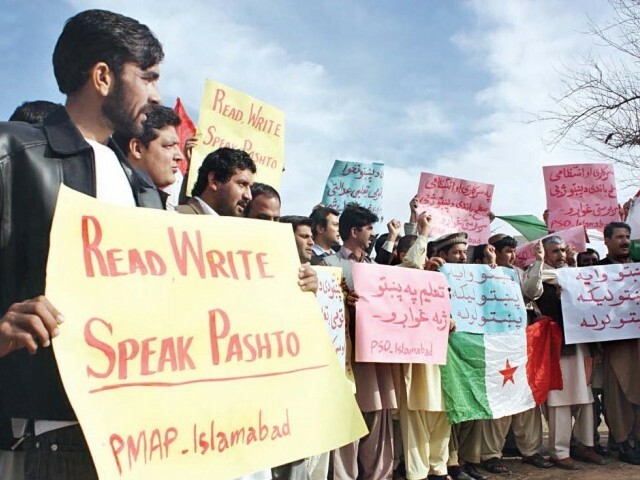 Linguistic experts noted that Pakistan is a multicultural and multi linguistic country, however if sustainable measures are not taken, the regional languages of the country will face extinction, endangering the pluralistic features of society eventually. The seminar was organized by Idara-e-Baraye Taleem-o-Tarraqi (IBT) in collaboration with Britsh Council in Islamabad on Monday in which representatives of over 18 languages, mostly from the Northern Pakistan participated. The participants of the first session titled ‘Language in Education Policy Dialogue’ urged on the use of mother language at the initial stage and use of Urdu and English as a medium of communication at secondary stage. ‘Listen to the vanishing voices of Pakistan’ was the title of the second session which focused on the significance of promoting regional languages by giving its due place in the education policy in order to develop as a unified nation. The key speakers included Bushra Gohar, MNA (ANP); Fauzia Minallah, rights activist; Zubair Torwali, Ex. Dir. of IBT; David Martin, Dir. of British Council Pakistan; M. Zaman Sagar, language activist; Fakhruddin, Ex. Dir. of Forum for Language Initiatives (FIL). Fauzia Minallah asserted that our respect for the regional languages and cultures is imperative in order to promote mutual understanding. “Today the western culture is dominating our culture because small languages are ignored in the national language discourse” she lamented. Mushtaq Ghadi criticized the one-language, one-nation theory and said that “diversity of language beautifies the culture and the nation.” Most Pakistanis are unaware that International Mother Tongue Day – observed on February 21 – began as a commemoration of a sad incident that took place in 1952 in Dhaka, when four students were killed by the police while protesting for the elevation of Bengali to official language status, he added. More than 65 regional languages are spoken in Pakistan; some of these have a few hundred speakers while a few are highly endangered languages that may soon have no speakers at all, highlighted Muhammad Zaman Sagar. He gave a brief introduction on the regional languages of Pakistan such as Aer, Badeshi, Balti, Bateri, Chitrali, Dehwari, Farsi (Dari), Gawar-Bati, Goaria, Gowro, Gujarati, Hazaragi, Kabutra, Kachchi, Kalami, Kalasha, Kashmiri, Indus Kohistani, Loarki, Marwari, Memoni, Pahari-Potwari, Shina, Torwali, Vaghri, Wakhi and Yidgha. Zubair Tirwoli, explaining the multi-lingual education system of IBT said “the child starts his primary education at primary level, i.e. Torwali language, then at secondary level he becomes acquainted with Urdu (national language) and at later stage he learns English (international language).” The session was followed by the launch of the online dictionary of Torwali language. Endangered languages are no longer learnt by children as a mother tongue as these are often restricted to the home. To preserve and develop their mother languages, “Forum for Language Initiatives (FIL) is working to enable the language communities of northern Pakistan” explained Fakhruddin. Dr Inayatullah Faizi, first Chitrali writer also spoke on the occasion. In his speech, David Martin, said “Language is a key element of culture and part of our identity and if Pakistan loses few of its languages then it will ultimately lose the cultural identity.” Therefore we must play our due roles to preserve not only official and national languages but also regional languages. Dr Khadim Hussain, Managing Director Bacha Khan Trust Educational Foundation (BKTEF), said that regional languages are a key source of indigenous knowledge.